Hi, everyone. It’s Midori from the MOSHI MOSHI BOX Harajuku Tourist Information Center. 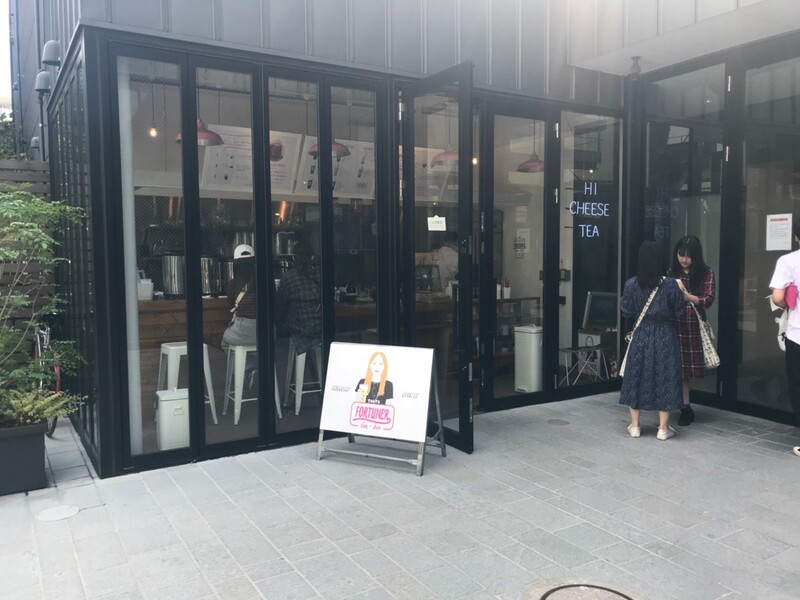 It’s been a trend for a while now, but tapioca shops have started popping up recently in Harajuku, and they’ve become so popular that most girls you see walking around there are drinking tapioca. 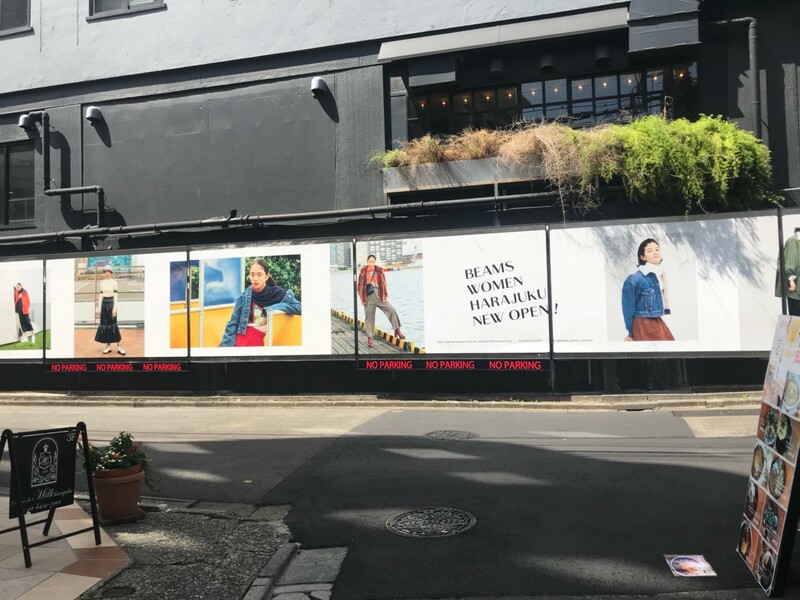 Harajuku’s going through a real tapioca boom! 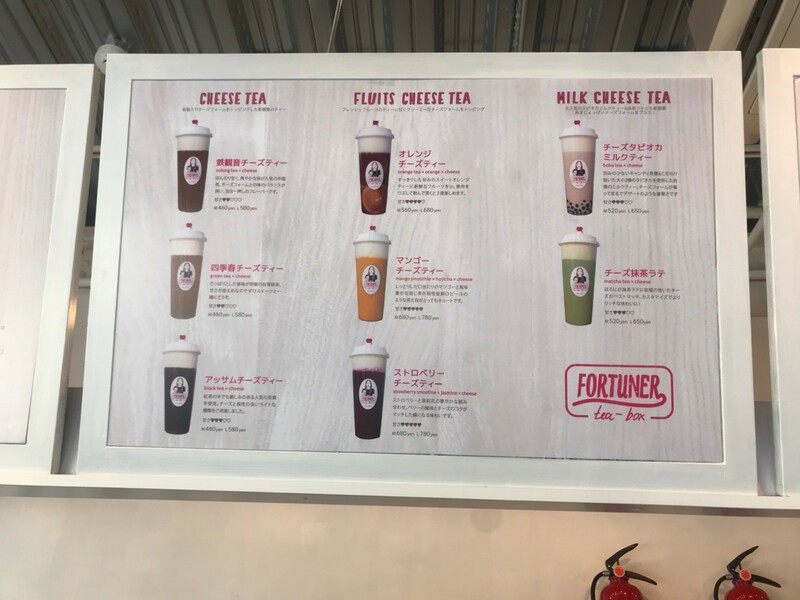 They’re all holding cups from a number of different shops, but the one getting much attention for their cute cups is FORTUNER tea-box, so I went to take a look! 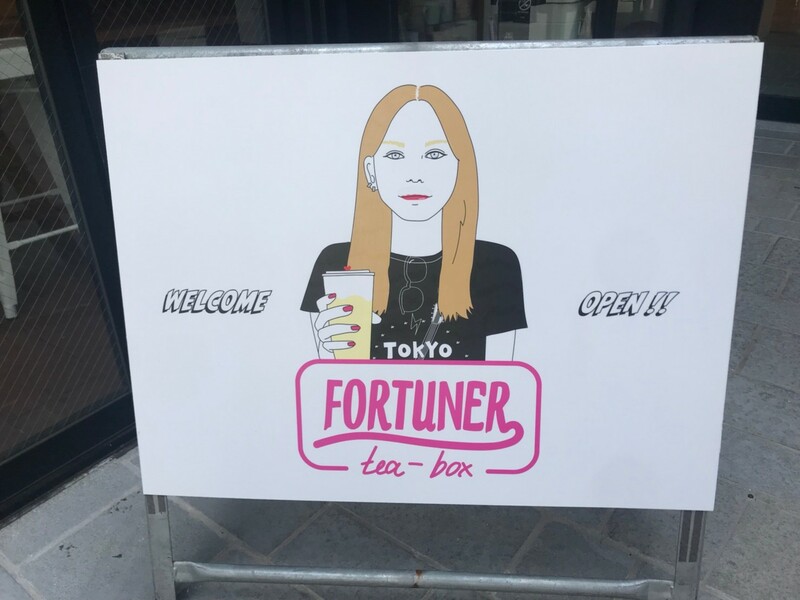 FORTUNER tea-box is located behind the MOSHI MOSHI BOX along Tonchan Street (とんちゃん通り) on the first floor of a building called FLAG. If you walk from Murasaki Sports along Tonchan Street you’ll spot a 7-Eleven. Go past there and it’s inside Anywhere Door opposite BEAMS RECORDS. You’ll know it once you’ve passed the offices and open conference rooms and see girls holding cups. For those who aren’t good with tapioca, have no fear. They also serve drinks without tapioca, as well as unsweetened teas amongst other things. 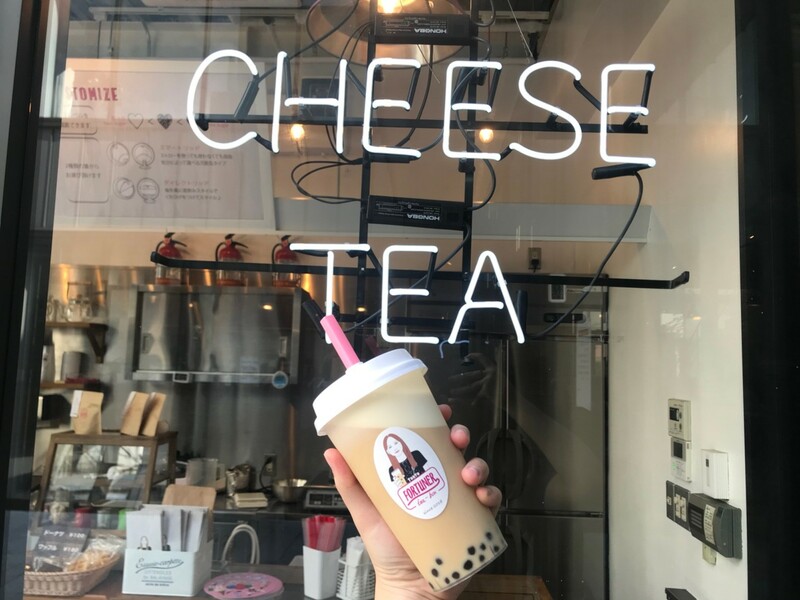 I ordered the “Cheese Tapioca Milk Tea”! At first glance you can tell it’s no ordinary tapioca milk tea, right? It has two layers with the top part being a whipped cream cheese. 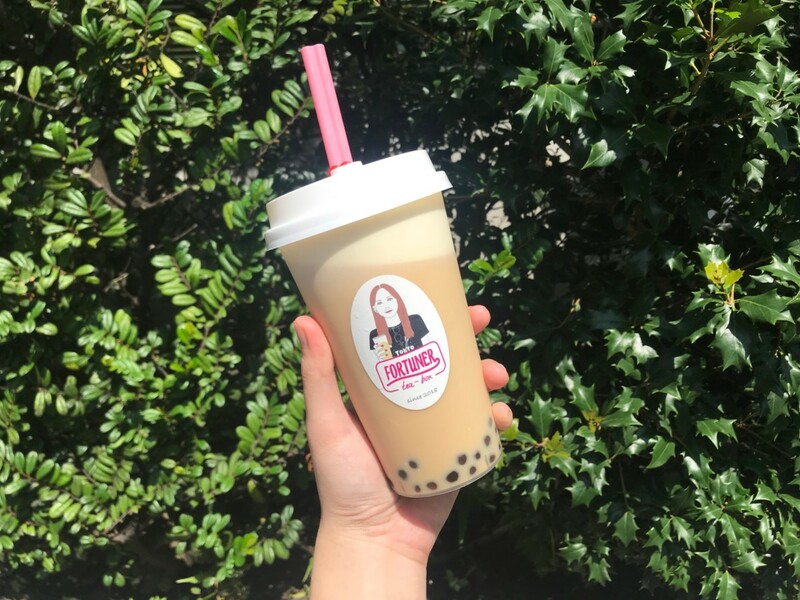 I wondered to myself how cream cheese could work with sweet milk tea but when I took a sip the sourness of the cream cheese and sweetness of the milk tea came together to create a deliciousl salty-sweet taste! It contains big and small chewy tapioca. You can treat it like a dessert. 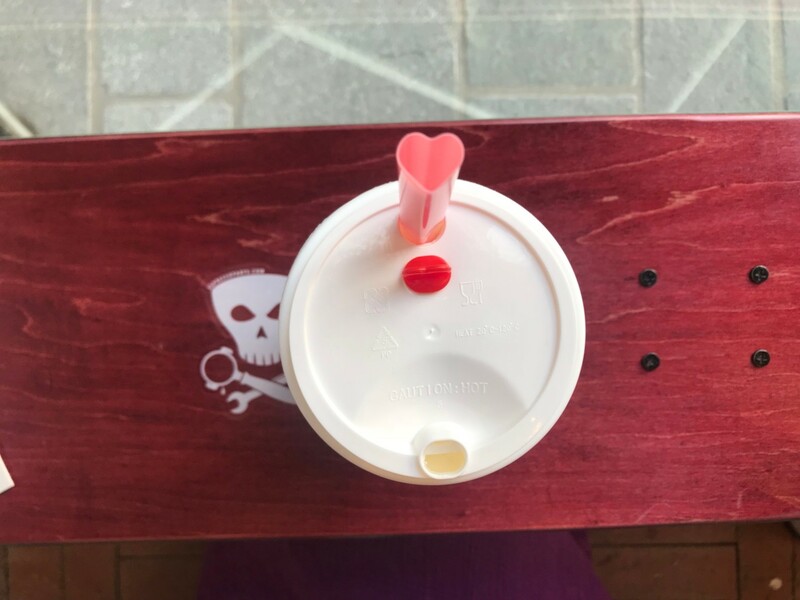 There are two mouthpieces on the lid and the straw is a super cute heart shape! It’s cute as well when you knock it back and get a cream cheese moustache. The inside of the shop too is cute and Instagram-worthy. There were lots of people taking photos when I went. I recommend taking a photo with the BEAMS RECORD sign behind you which is close to the shop. Buy a stylish drink with your friend and snap some photos with a snazzy background!